Dermatologists say that moisturisers are important for all skin types. Little information is available to the person in search of a moisturiser that consistently performs well. Identifying the best non-comedogenic moisturisers is a challenging task for many. It’s difficult for the average person to understand the difference between labels like emollient or humectant-rich moisturiser formulas. Manufacturers compound the matter because they don’t provide an accurate mechanism of action, usage, dosage, and any adverse effects, such as pimples or blackheads that result from the product. 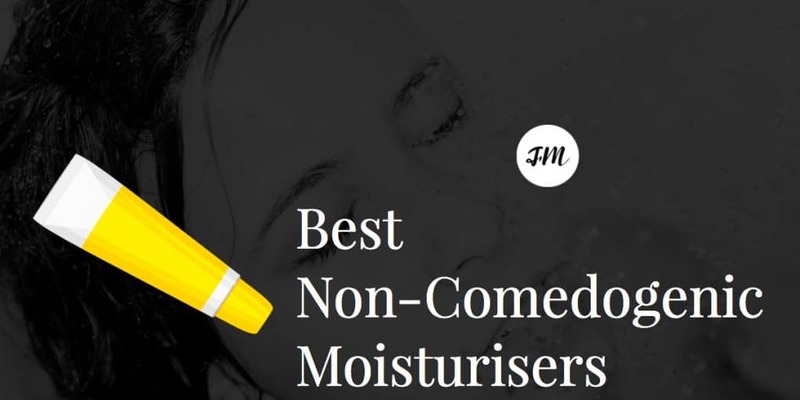 The goals of this article include: 1) Rank much-advertised “top five” moisturisers according to user performance reviews; and 2) Consider those who should use non-comedogenic moisturisers. What are Non-Comedogenic Moisturisers, Anyway? Most people struggle with skin breakouts like pimples or blackheads at some point in their lives. It’s quite usual to have oily skin and skin issues during the teen years. However, dermatological researchers tell us that some personal care products, such as moisturisers, may promote oily or clogged skin in the 20s, 30s, and beyond. The technical term for the result is acne cosmetica. Usually, when you stop using the offending product, oily skin or outbreaks resolve. Look for moisturisers labeled non-comedogenic if you have oily skin or you’re trying to clear skin after use of a product that didn’t agree with you. Oil-free and water-based facial products are frequently labeled as non-comedogenic because they lack the ingredients that typically block facial pores. Most major skin care lines offer non-comedogenic products for individuals with oily or sensitive skin. It’s important to know that people with very dry skin can suffer breakouts. People with certain skin conditions, like discoid lupus, rosacea, or psoriasis, can break out with blackheads, pustules, whiteheads, and papules if the moisturiser irritates the skin. 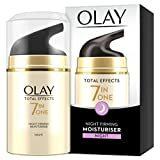 According to Olay, owned by U.S. manufacturer Procter & Gamble, the Total Effects formula is an all-in-one, medium-priced moisturiser intended to address seven common signs of ageing. Importantly, the Total Effects Formula includes SPF 15 sunscreen to protect users from the potentially harmful effects of the sun. Users mention that the product is light but nourishing. Users say Total Effects is a good skin moisturiser for the money. Skin doesn’t become greasy or shiny after use. Although Olay Total Effects is scented, users say it’s not overly perfumed. (Scents can irritate some users’ sensitive skin.) Some users say they don’t need separate day and night creams to maintain their skin. 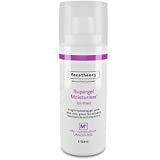 Supergel Lightweight Moisturising M3 Lotion is specifically formulated by Facetheory for oily, blemish and acne-prone skin. This medium-priced lotion is sold in a 50 mL size and, according to Facetheory, positive results are guaranteed. If you’re concerned about breakouts, M3 is specifically designed for you. • Contains natural ingredients like aloe vera, known to sooth redness and breakouts, and moisturising glycerin. • The formula includes antioxidant vitamins, including Vitamins C and E, mineral-rich seaweed, and passionfruit extract. • Creates a shine-free, matte finish on the skin. CeraVe Moisturing Lotion in the 12-ounce pump is another good choice for people on a budget. CeraVe also makes a tub contained rich moisturising cream that some people say works better for extremely dry skin. CeraVe is manufactured by Valeant Pharmaceuticals, Inc., at chemical plants around the world. It’s possible to use CeraVe as a facial and body skin moisturizer. Although some users report breakouts after Cetaphil use, most agree with the manufacturer’s non-comedogenic claims. If you use a lot of moisturiser, Cetaphil Moisturising Lotion may be worth a try. 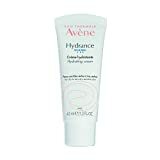 A smaller group of Amazon users like Avene Hydrance Rich Moisturiser (4.8/5 stars). They report that Avene Hydrance Optimale works well as a reasonably-priced daily moisturiser. Younger reviewers with very dry skin say that Avene Hydrance Optimale moisturises but doesn’t cause breakouts. Some users say they use the product twice a day or as needed to prevent dryness. • Includes patented ingredients: 1) Lipomucine, to deliver thermal spring water to the user’s skin; and 2) Meioboserine reduces water evaporation from the skin. Avene Hydrance Optimale contains shea butter to “nourish” and “calm” the skin. According to an Avene-sponsored research study (participants’ ages ranged from 18 to 70 years of age), users’ skin was four times’ more hydrated after a month’s use of the moisturiser. Should You Use a Non-Comedogenic Moisuriser? Most people in search of a moisturiser tend to view a label of non-comedogenic and/or non-acnegenic as a safe bet. However, it’s important to know where the term non-comedogenic comes from and why we’re still so concerned about it. Albert Kligman coined the term comedogenic in 1972. There were many fewer moisturiser options available at the time. Then, the British Journal of Dermatology published a 1979 study that showed that both natural ingredients (such as cocoa butter, shea butter, waxes, lanolin, etc.) and chemical agents (such as lanolin or man-made fragrances) can clog skin pores. It’s important to use common sense when selecting a moisturiser. Since skin is the human body’s largest organ, consider the long-term impact of any chemically-engineered moisturising product. Choose natural moisturisers that perform well when possible.